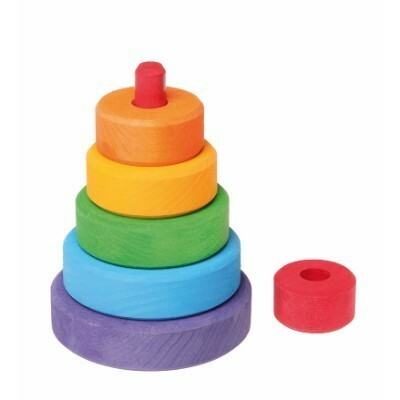 With the small Conical Tower the children can sort, stack and build. 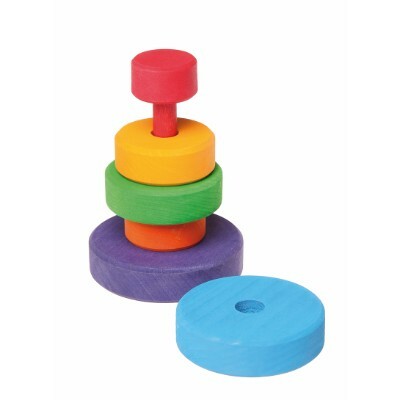 While stacking, the eye-hand coordination is stimulated and fine motor skills are trained. Five discs for stacking. Materials: lime wood, non-toxic water based color stain. Size: height 12cm. WARNING: Potential hazardous accessible points. 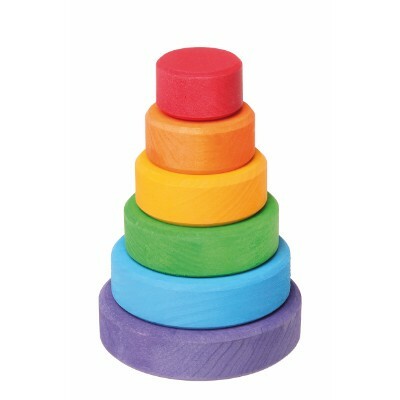 Always put on safety cap while not assembling or disassembling wooden coloured discs.